I tried to create a backup on my external hard drive, but unfortunately that got interrupted. Before I ran the backup program, the external hard drive had 860 GB free. Now, it says it has 660 GB free. The 200 GB must be the backup files created during the interrupted session, but I can't find the files anywhere, and the Backup and Restore page of control panel doesn't believe there are any backup files on the hard drive. How can I find and delete it to free up 200 GB? Right click the Start Windows icon. In the shortcut menu, click Open Windows Explorer. Right-click the drive that you want to check. In the Check Disk window, select the Automatically fix file system errors check box. If you want to perform a detailed test of the hard drive, you can select the Scan for and attempt recovery of bad sectors check box. You should do that in the justified suspicion of existing hardware error in any case. But please note that the operation can then take a long time. For a first routine check, we recommend that you do not select this option. If the drive that you want to check is currently in use and it is your system drive, you will see a dialog box with a warning message. In this case, click Schedule disk check. Exit all open programs, and then restart your computer. The checking will start automatically before next Windows startup and display the results when completed. If you are not checking the system drive, you do not have to turn off the computer. However, the selected drive may also be in use. In this case, you receive a message. After you have saved all files and close all open programs, click Force a dismount. The checking starts immediately. After it is completed, the results will be displayed. 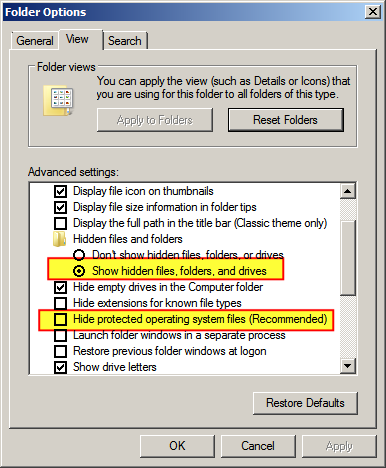 Go to Explorer > "Tools" > "Folder options" > "View"
Select "Show hidden files, folders, and drives"
Untick "Hide protected operating system files (Recommended)"
Windows 7’s backup tool hides its backup sets from casual view (and casual access) via a special permission privacy attribute. This attribute keeps standard file-management tools — such as Windows Explorer — from easily seeing or altering what’s inside the backups. Here’s an example. 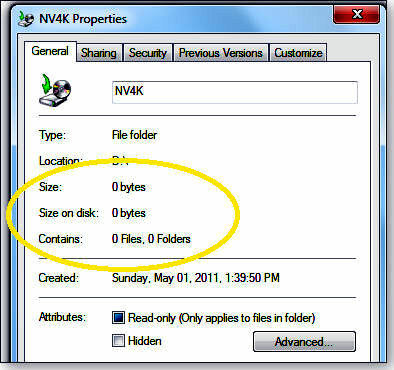 Figure 1 shows the Properties box for a Win7 backup folder on a test PC named “NV4K.” As you can see, Windows Explorer can’t see inside the backup folder and reports it as zero length, zero files, zero folders. Source Holy …! 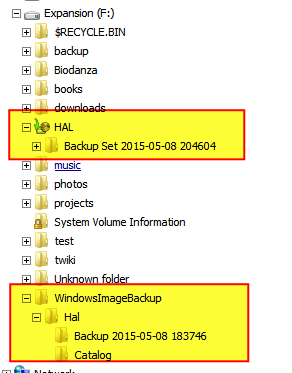 My Win7 backup folders are empty! Not the answer you're looking for? Browse other questions tagged windows-7 hard-drive backup external-hard-drive windows-7-backup or ask your own question. Windows 7 won't recognize backup set can I script extracting the files in some other way?